I’ve heard this before, but, is it really true? 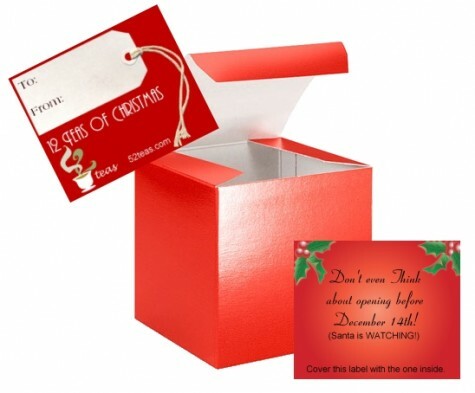 Well, in the case of these 12 Teas of Christmas, I have had many (well, five so far!) good things come to me as I’ve been waiting patiently for each day to arrive. However, I suspect that I would have still had these teas even if I hadn’t waited. But don’t tell the kids that. 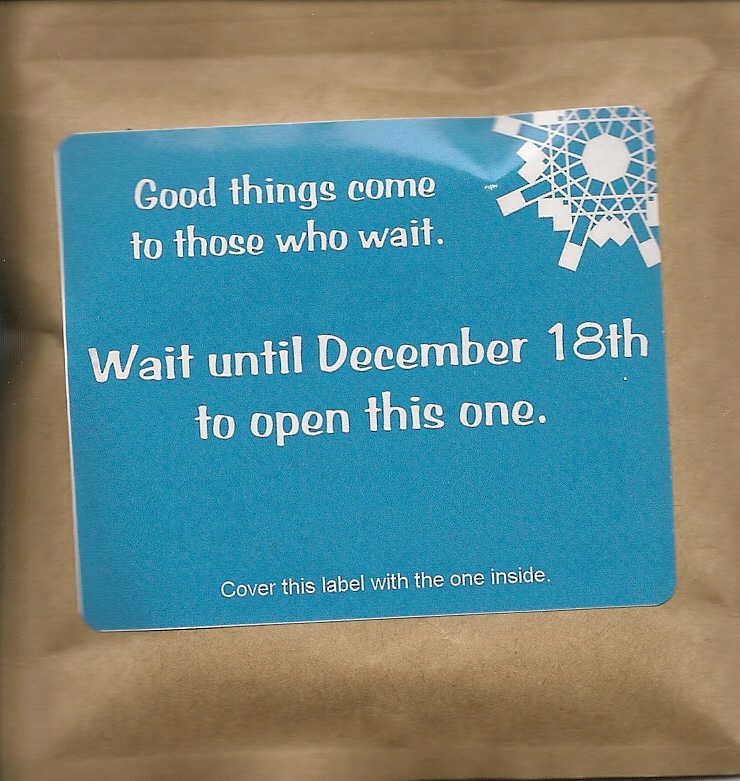 It is important for them to know that good things come to those who wait. I don’t know why it is important for them to know this. For some reason, my parents thought it was important that I know this, and now, 52Teas feels the need to echo that sentiment. We had a special request to create a stunning chocolate mint tea to serve at a wedding reception and to offer as wedding favors for guests at the wedding. The result was so awesome, I think we should share it with our other customers. 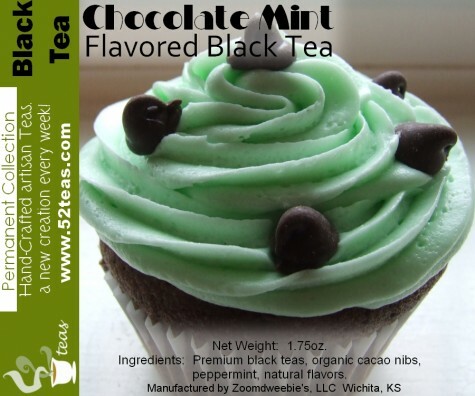 So, without further ado, here is our featured tea of the week for the week of July 13th, the ultimate dessert tea, our chocolate mint flavored black tea, with real organic cacao nibs, fresh cut peppermint and all natural flavors. This tea came as a very welcome surprise this morning! I have tasted this tea (you can read my review of it here), but it is such a delicious tea, I don’t mind that at all. This one tastes just as good as I remember it: a bright, crisp minty taste and a smooth, rich chocolate flavor. The black tea is robust and strong but rather than interrupting the flavors of the chocolate and mint, it somehow manages to enhance them. The best part of this tea: the chocolate and mint flavors intensify as I continue to make my way down the cup. The worst part of this tea: when it’s gone. This was a delicious treat. I can’t wait to see what tea I’ll be enjoying tomorrow! Ah… Patience. As a child, I was often told “patience is a virtue” in response to whatever it was that I wanted and wanted that instant. I like to think of myself as a patient individual, but I am finding it quite difficult to maintain my composure with these tea samplers from 52Teas. Back when I first started blending teas, before I went into business, I created this amazing, caffeine free blend of red rooibos, apricot pieces, cinnamon and marigold flowers. It was and it remains my wife Sheri’s all time favorite out of everything I’ve created. It also happens to be consistently our number one bestseller at Zoomdweebies. I also think I got the best comment I’ve ever heard on a tea blend before with regard to this tea. A customer took a sip and exclaimed, “This tastes like Christmas!” I’m not sure where that came from, but I was happy to hear it. I was so happy when I opened this package this morning and saw that it was rooibos! I was hoping that it would be a caffeine free blend, because I am a little sleepy and I would very much like to head back to bed for a nap after I get my youngest daughter on the bus this morning, and I didn’t want caffeine to stimulate me. But I doubt you tuned in here for that information … Let’s move on to the tea! This is a tea that I’ve tasted and reviewed previously, but it is one that I’ve been out of for a few months now, and quite frankly, I miss it a lot more than I thought I would! This is one that has really grown on me. I liked it just fine from the first time I tried it, but since that time, I have grown rather fond of it. Is it my favorite from 52Teas? No. But, it is an excellent rooibos blend! The cinnamon and apricot work very well together – so well, in fact, that they pretty much mask the flavor of the rooibos which is just fine with me. I do get an occasional “rooibos” flavor that crosses my palate, but, the flavor of the rooibos is not the primary focus of this blend. The apricot is sweet and has a very authentic flavor, and it is well seasoned with the cinnamon. The cinnamon really livens up the flavor of this cup. 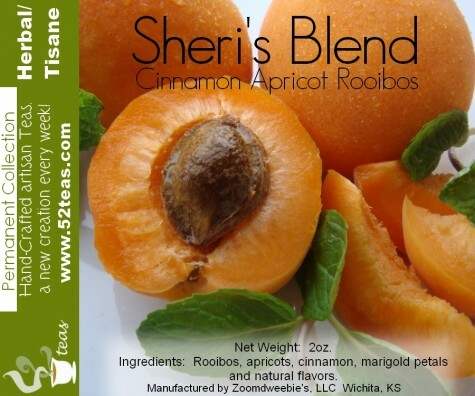 The apricot is really delicious, but it is the cinnamon that gives this tea its pizzazz! Without the cinnamon, I think this blend would be rather ordinary. Not that ordinary is bad, mind you, but, when it comes to 52Teas, I’ve come to expect something out of the ordinary! And, it would seem that they deliver on that expectation – time and time again! This sampler package has been so much fun, and I have only just begun! As you can see by the photo to the left, Santa is being a bit of a meanie and won’t stand for even THINKING about opening the pouches early. Does that mean that because I did, I’ll be cast upon the naughty list? But while I did certainly think of opening the package early, I didn’t. I am finding it to be too much fun to wait until morning and open the package! I can’t remember the last time I was so excited to open a package of tea in the morning – much less brew it! Not that I don’t enjoy brewing tea – I LOVE IT. But, to say I’m not much of a morning person is an understatement! For the 52teas version of this tea, we are adding some honking-big flakes of unsweetened coconut to our premium black tea blend along with coconut and vanilla flavors. Hope you enjoy it as much as we do, and I promise that next week, we’ll get back to more creative pursuits. Yay! This is certainly one of my favorites from 52Teas, and for good reason. 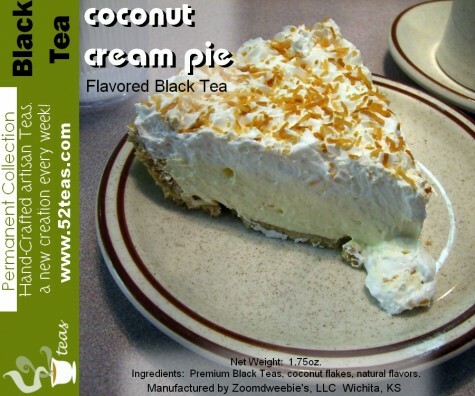 It is very true to its name – it really tastes like coconut cream pie! – and I love coconut cream pie. As you can probably safely guess by now, I have previously reviewed this tea. But while it is nice to come across a tea that I’ve not tried yet (like yesterday’s Chocolate Chai), I am loving this opportunity to revisit some of my favorites. My opinion of this tea hasn’t really changed; I therefore see no need to reconstruct my review of it. I will simply say that this is delicious! Sweet, creamy, and smooth. It makes an incredible latte, although I find it just as nice without the “latte” and served with a shortbread cookie. The one thing this tea lacks is the pastry crust of the pie, so a shortbread cookie completes the dessert! It would also be quite nice with a piece of biscotti, if you have it! However you choose to serve it, this is one tea that I highly recommend. It is absolutely yum! Yay! I don’t think I’ve looked this forward to counting down the days before Christmas since I was a kid! Now, don’t get me wrong, I love Christmas – it’s my favorite holiday. I love decorating my tree (I have a very unique set of ornaments, most are handmade!) and the best part is spending time with my family and experiencing the magic of the holiday through the eyes of my kids. But, that’s the thing! There is something that is so magical about the season for children! I have been able to recapture some of that magical feeling – thanks to 52Teas! Today’s sampler package says “Ah, Ah, Ah! 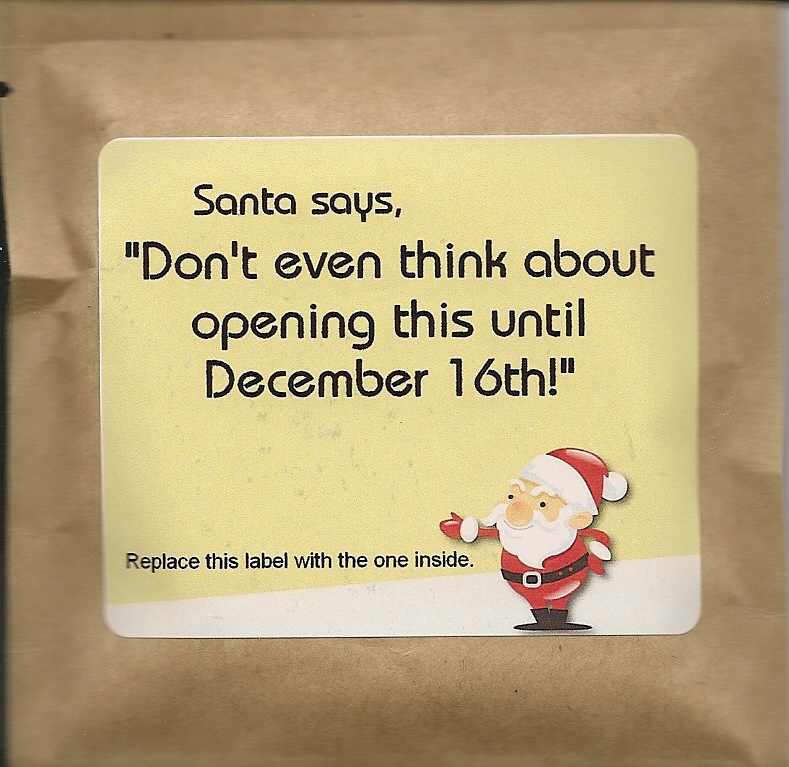 Do NOT open until December 15th” As I read this, I could almost feel Santa’s finger shaking in my direction, as if to indicate that I might get nothing but coal in my stocking if I peek! This is a match made in heaven. Our traditional, hand-blended masala chai with organic cacao nibs and milk chocolate chips. So chocolatey, it should be illegal. Don’t miss out, this one is going to go FAST! But not their Chocolate Chai. I was very interested to see how it differed from these other varieties, so, needless to say, I was very antsy while I waited for the tea to brew! If I could have made time go faster during that four minutes, I would have! This is really good. Much more chocolate-y than I would have expected (because, well, I am a chocoholic, and I usually expect there to be not enough chocolate). 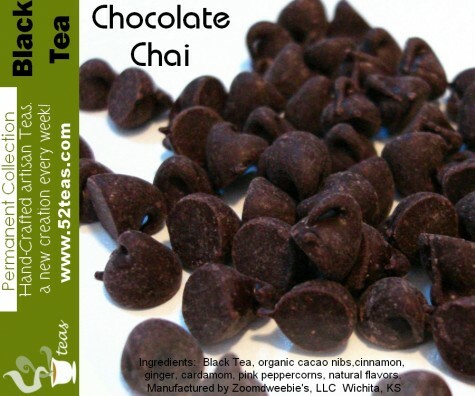 The black tea is a smooth, rich base and I like the interplay between tea and chocolate here. The chocolate seems to enhance the tea and vice versa. That being said, I feel that the spices are lacking just a little bit. I attribute this primarily to my being a bit biased when it comes to spiced chai blends; the spices just don’t taste very balanced. Perhaps a little black pepper or a little bit of cloves? Don’t get me wrong, I really do like this tea for what it is, and I am not disappointed at all! I love the chocolate in this, and it is perhaps the best chocolate tea that I’ve tried from 52Teas. But it isn’t the best spiced chai I’ve had from them. However, it is still very delicious – an absolutely splendid tea for this time of year! – and I am very happy that I had the opportunity to try it! Now … I am left to wonder which tea it shall be tomorrow? Ah… the anticipation! This year as a special holiday promotion, 52Teas offered a special 12 sampler package which is comprised of 11 of their best-selling teas, and 1 brand new tea (for Christmas day!). 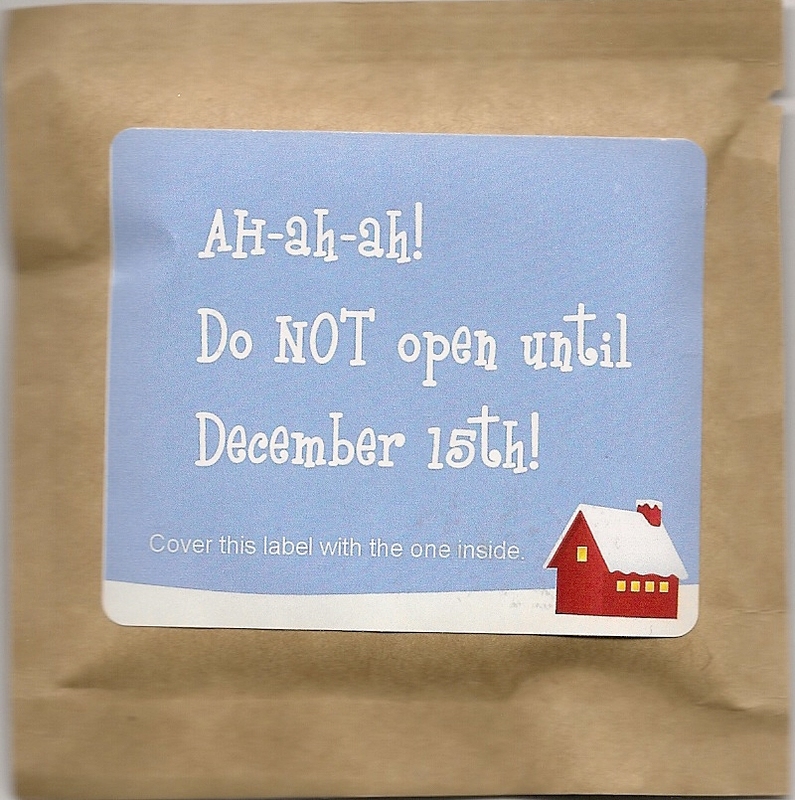 The “rules” are simple: open one cleverly disguised sample package per day – labeled simply with the day that it should be opened (today’s sample package reminded me that I should only open it on December 14, because “Santa is Watching”). We create a lot of different blends here on 52teas. It is one of the things I absolutely love most about my job is experimenting with new flavor combinations and creating new and unique blends. I have to admit that some of our experiments are more successful than others. Some of the blends we create are good, some are great, and a few, like this week’s Tea of the Week, are just phenomenal! We hope this tea blows you away as much as it did us. I’m seriously thinking this might be one to enter into the World Tea Championships next year. Enjoy! 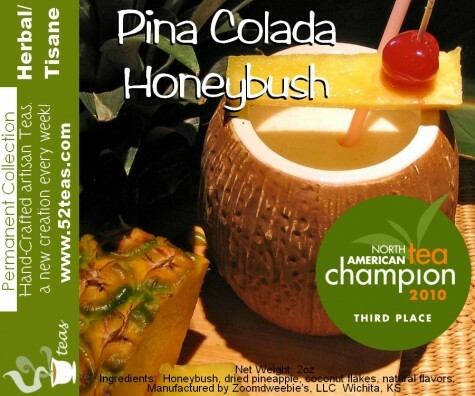 However, this tisane happens to have the distinction of placing 3rd at the North American Tea Championship. Not too shabby! You can read my original review of this tea here. My opinion of the tea hasn’t changed! The flavor is excellent. It is pleasantly sweet from the honeybush base, and the flavors of pinapple, coconut and rum are well-balanced. I am really glad that this tisane was included – it’s a little walk down memory lane! 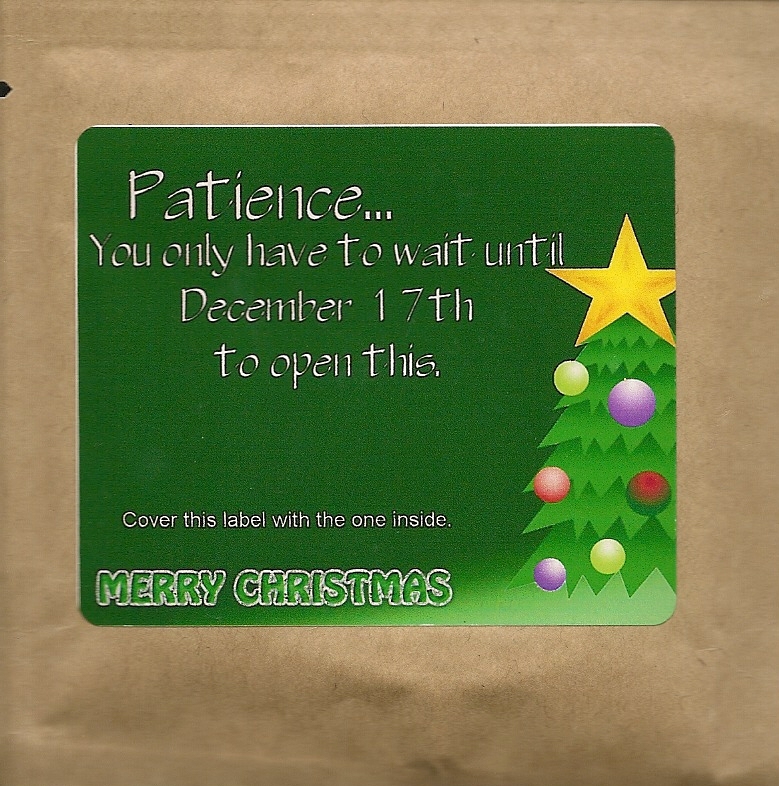 Tomorrow, I will be posting about the 2nd Tea of Christmas, which is… well… we will just have to wait to find out tomorrow!